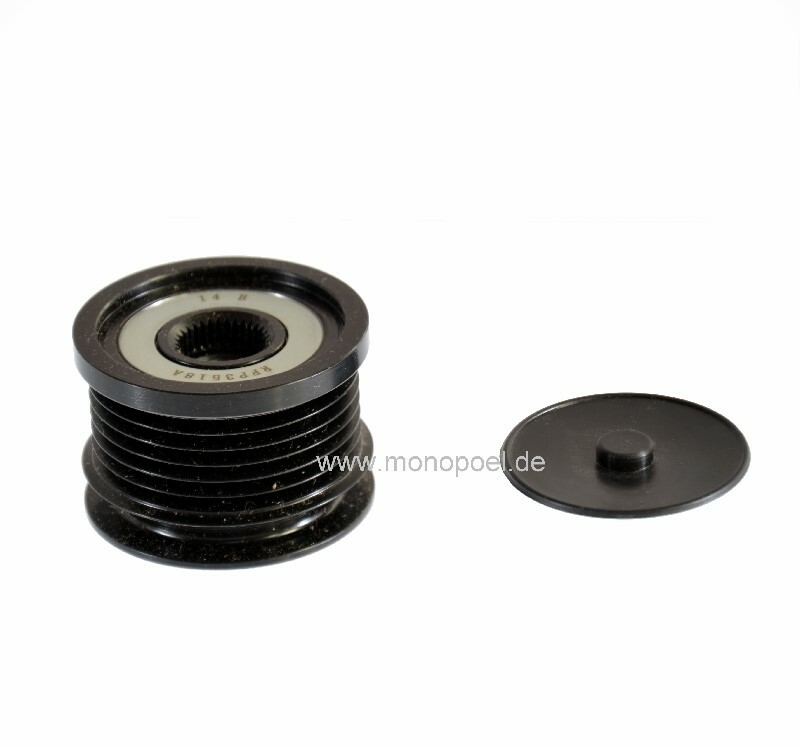 electric generator free-wheel for W124 alternator, number of fins: 6. The 2V diesel engines do not have an alternator free-wheel, which means that the torsional vibration is transmitted to the belt tensioner when the engine is started and stopped. As a result, the bearing of the belt tensioner wears unnecessarily fast and the entire belt drive (belt tensioner, etc.) is unnecessarily heavily used. 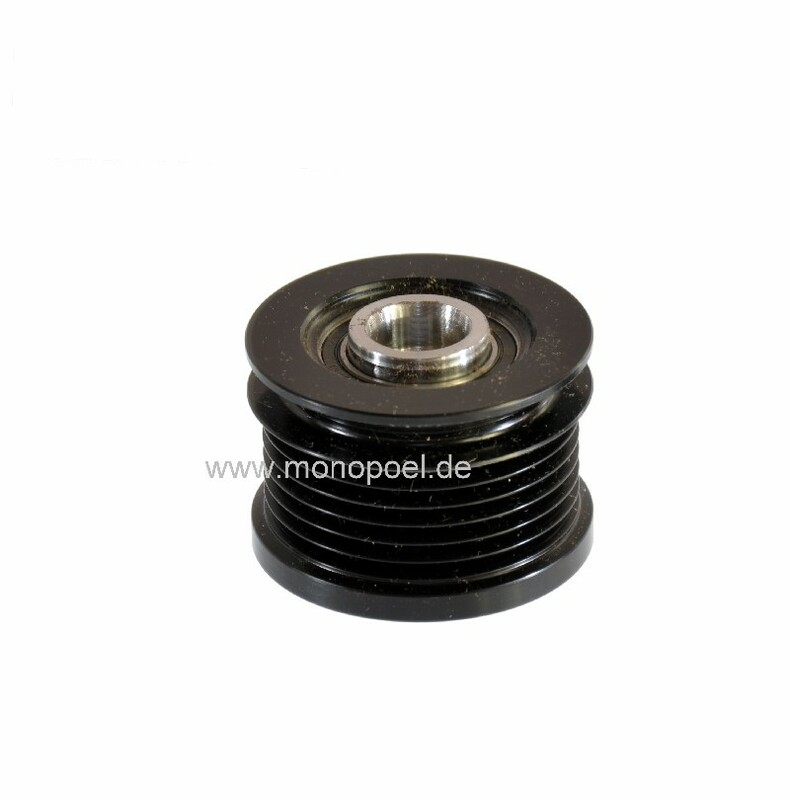 We therefore recommend the conversion of the eletric generator with a rigid belt pulley to a belt pulley with free-wheel.